When I was a kid growing up in Swindon most Saturday’s we took the train to Bath to watch the rugby. As you left Swindon on the right hand side there was a shallow embankment. In the spring time the Daffodils, when in bloom, would spell the phrase: ‘Spring is Sprung’. I love all of the four seasons for the contrast and the richness that they bring to our lives; creating a real sense of tangible change and the full range of colours in nature. Its always good when we’re on the cusp of the changing of the season, especially between winter and spring. This winter has been a good one. The sunniest since 1929 according to the Met Office, its also had some fantastically clear nights, ideal for stargazing, and also for deep frosts in the morning. There is something re-assuring about the noise of people scrapping the ice off of their windscreens and the pure beauty of a landscape shrouded in a glistening white. Many of the signs of spring start to emerge before we get to March (the 1st of March is officially the first day of the meteorological spring). 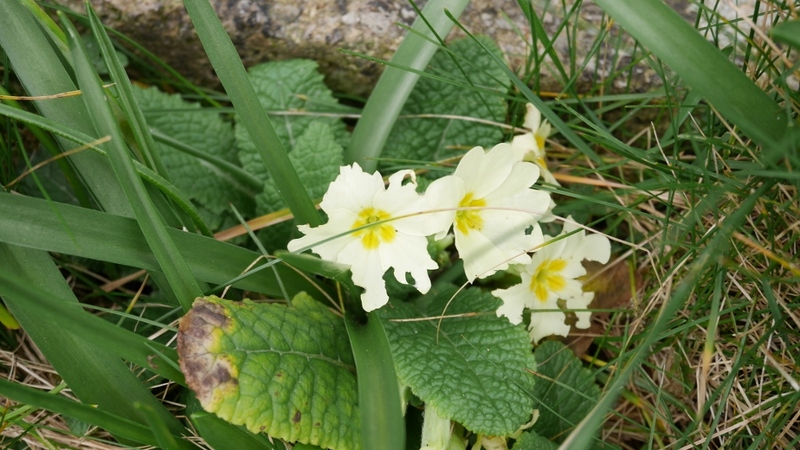 Daffodils and primroses coming into bloom, catching a glimpse of your first butterfly and the buds on trees: all signs of milder weather and that much valued extra hour of daylight (that comes at the end of the month). Its also the time when we and the animal kingdom begin to emerge from hibernation. The promise of warmer weather getting us out and about; and the natural world ready for the season of huge change and reproduction. Every day the volume of birdsong cranks up a notch. You notice how our feathered friends are starting to limber up with their vocal gymnastics, generating a wonderful soundscape in towns, cities and the countryside. We’re full speed ahead towards the arrival of the wall of sound, that is the dawn chorus. And don’t forget the joy of the dusk chorus too. I feel the need to connect to the seasons. So much of our lives are spent rushing around, spent looking at screens and getting through those to-do lists. Nature, especially in the spring, can be a real tonic for us all; taking the time out of our day to notice things as they change lifts the spirits. One of the big symbols of the arrival of spring is the toad patrol in Charlcombe Valley, on the eastern side of Bath, cranking into action. 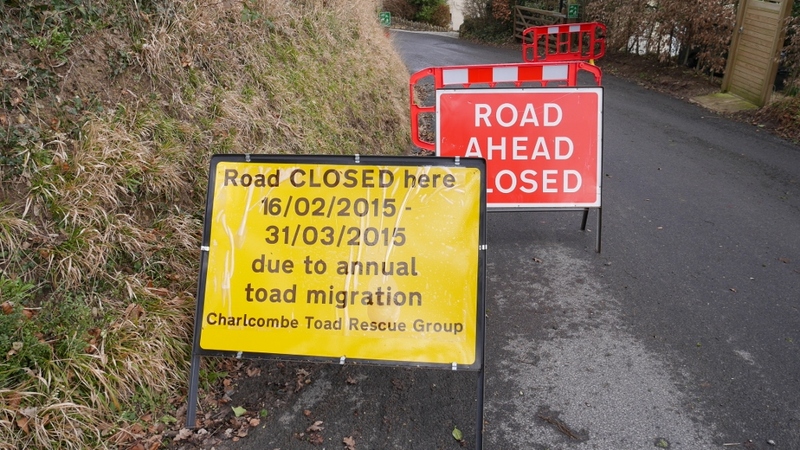 The road signs appear, warning drivers about the perilous journey for the toads as they migrate down to the ponds, and diversions are in force. And the wonderful volunteers are out in force helping them on their way. Spring is a time of renewal. I can’t wait to see the fragile beauty of the delicate white flowers of hawthorn, the first butterflies of the season on the wing and the appearance of nests in the trees. And there is something so magical about wandering through a traditional orchard with the fruits trees in full blown. So its time to get ready and take time to see and hear the wonders of nature with the first signs of spring. Sometimes when you come across an undiscovered gem of a place you want to tell everyone about it. But then you have a double take in case your secret spreads too far and wide. Part of you wants to keep this special place just for the lucky souls that have stumbled across it. I’ve just found such a place. It’s not that far from the beautiful city of Bath and yet you could be a million miles away. The first time that I came across it was as daylight was turning to dusk on the last day of 2013. A majestic sunset made this discovery even more magical as the last day of the year began to fade over Solsbury Hill. It’s a place that I’ve passed often. It’s somewhere that intrigued me for a while: a place that I wanted to discover. And yet it was a casual thought of what to do on a slightly damp day with the heavy December rains so dominating the festive season. This new favourite place became so by accident. It wasn’t some long planned trip – it was finally discovered as a result of looking for somewhere to go and the deep recesses of my mind homing in on this secret green space. In winter you see a place in its rawest state: there is nowhere for it to hide from your gaze. It gives you the freedom to imagine its natural bounty in the seasons of plenty when the weather is hopefully that much kinder and nature comes alive. 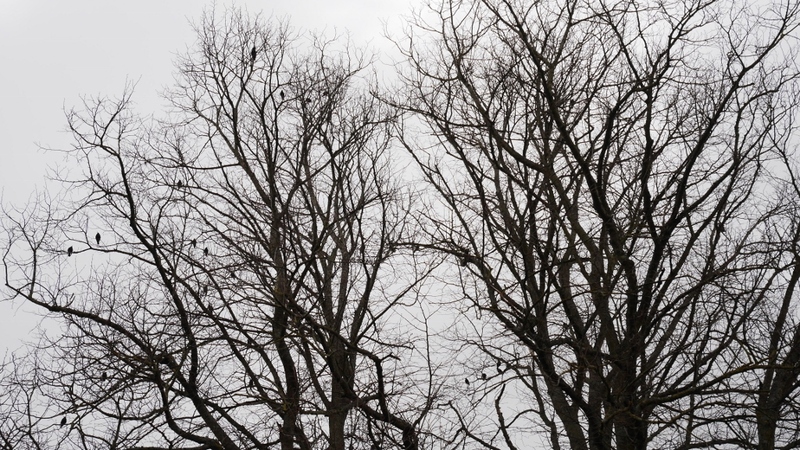 And yet the starkness of winter can give places a feeling unique to the season that we tend to tolerate rather than love. Strolling through the freshly erected gates we headed for the woodland. The paths were drenched from days of persistent rain but the sticky conditions failed to deter us from stumbling into a woodland that fires the imagination and has wildness and untidiness that attracts the human eye and lifts the soul. Trees were awash with rich mosses and lichens and numerous fungi clung to the deadwood. You could immediately fast forward through the four seasons to get a flavour of the spring woodland flowers creating a tapestry effect to the lushness of canopy full of summer leaves. Natural springs trickled into crystal clear streams and you had to stretch and duck to make your way through the network of trees. Reaching the common you felt alive and excited about the prospect of coming back to this natural wonder. And we have been back re-tracing our steps and extending our range of discovery. When you do come across a new place that you instantly connect with it’s a very special moment to be treasured for life. If you think for a moment you’ll have somewhere that feels as though you’ve always known it; a place away from the treadmill of life and a place to be close to and immersed in the natural world. Perhaps seven is THE lucky number; well for nature at least. After six fairly ordinary and often awful summers 2013 finally gave us the return of the Great British Summer. This was a godsend for wildlife that had suffered at the hands of wet and windy summer months as the seasons seemed to merge into a state of confusion. The balance sheet for nature in 2013 was a pretty healthy one – with more winners than losers. Yes the big challenges remain around the loss of habitat, the impact of climate change and the unpredictability that is extreme weather – but we need to celebrate the positives aswell as the negatives. For me the overall winner of the last year was that symbol of summer – the good old butterfly. I can’t remember a better year for them. On a local walk into the countryside just outside Bath to a stream at the bottom of a valley we counted twelve species fluttering gently on a warm sunny day in a matter of minutes. Yes the long term trend for butterflies is challenging but 2013 gave us and them a welcome respite: helping to lift the spirits and nourishing the soul. The seasons of change – spring and autumn – seemed to defy logic in their length. Bluebells just about made it into June in some places and autumn colour crept into December – the burnt orange leaves of a local oak tree clung on raging against the windswept autumn days. Apples bounced back after a pretty torrid 2012, wasps returned to bother summer picnics and after the boom year for slugs last year it was a case of bust for them in 2013. Fungi was a real winner as were most warmth loving insects. At the bookends of the year we had heavy snow last winter – a challenge for over-wintering birds looking for food and the snowdrop season was late and long as a result – and the arrival of storms and torrential weather conditions causing flooding in the final quarter of 2013. 2013 must give us hope about the resilience of nature and its ability to bounce back. We all need to do our bit to help encourage and support nature in our back gardens, local green spaces and through the work of the nature conservation movement. Nature provides a welcome tonic to the challenges and routine of everyday life and by opening our senses to the world around us it can help to give us the refreshment that we need for body and mind. Driving home tonight along the M4 it felt like I was travelling towards a William Blake canvass with a sky full of pure beauty, rich colour and brooding intensity. Flocks of birds headed eastwards against a kaleidoscope of rich shades of pink and orange. The depth and contrast between the embers of the day’s sunshine and arrival of the dark skies created a sense of melancholy and starkness between the almost black outlines of the tree and the fading light on the horizon. Yes you get beautiful sunsets during the other three seasons but its the deepness and sometimes brutal nature of winter sunsets that captures and fires the imagination. Its as if the winter sunshine is demanding the writing of verse to celebrate its power and glory. There is something captivating about winter sunshine particularly when its at its best as day breaks and day gives way to night time. It lifts the soul and creates that feeling of wonder at the contours and topography of the landscape or cityscape against the back drop of the low sun struggling to make it to anywhere the giddy heights of summer. The winter sun will often have to do battle with fog and mist or struggle to break through layers of thick and intense cloud cover. But when it does eventually triumph the atmosphere can change and during the morning it throws a fragile and deep light across urban and rural space; creating wonderful shadows or illuminating buildings with its brightness. Seasonal change is something that chimes with the ticking of the human body clock. We need that contrast and difference to feel the elements and feel the wonder of nature. Its something that we miss when the blandness of dull grey days persist and its something that we should celebrate particularly when winter sunshine creates its mesmerising effects even during the shorter days of the year.